The perfect gift for your army hero. 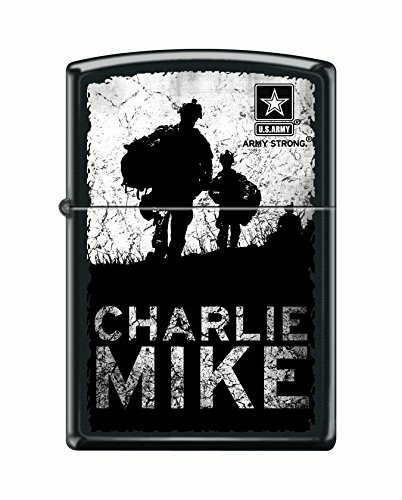 This black matte windproof lighter features the U.S. Army logo, two soldiers, and Charlie mark phrase. Comes packaged in an environmentally friendly gift box. For optimal performance, fill with Zippo premium lighter fluid.